There are many ways to donate to the Harvey A. Andruss Library! Please see the Gift Policy if you are considering a donation to the library collection. For more information, contact Marilou Hinchcliff, Interim Director of Collection Development. You may reach her at (570) 389-4226, or e-mail mhinchd@bloomu.edu. The forms listed below will assist in providing details and contact information for us to recive your gift. If you are interested in making a monetary donation to the library, please contact Charlotte Droll, Director of Library Services at cdroll@bloomu.edu, or call (570) 389-4207. You can also volunteer to work at the library, or make a committment to library services through community organizations. Friends of the Bloomsburg University Library Association (FOBULA), desirous to celebrate the historic opening of the new Andruss Library in September 1998; and to promote excellence at Bloomsburg University Library as an academic center for higher education; to support and promote all aspects of the Library’s roles and functions in the Bloomsburg University community and the larger community. 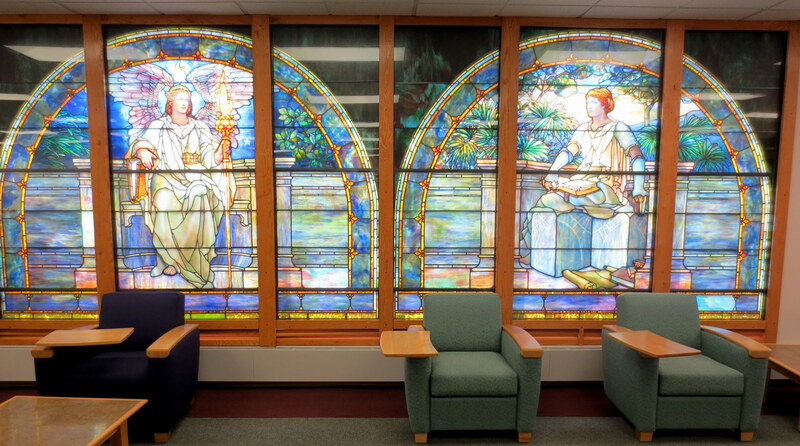 The goal of the Friends of the Library is to continually strive to provide further valuable resources for study, research, teaching, and community services at Bloomsburg University as an integral part of the State System of Higher Education in Pennsylvania.